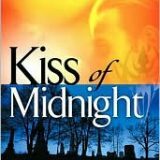 Kiss of Midnight is the first in the Midnight Breed Series by Lara Adrian. This book is currently featured as the book of the month for the Paranormal and Urban Fantasy group on Goodreads. I thoroughly enjoyed reading this fast paced novel. Adrian delivers a steamy, suspenseful paranormal romance that will leave you wanting more.